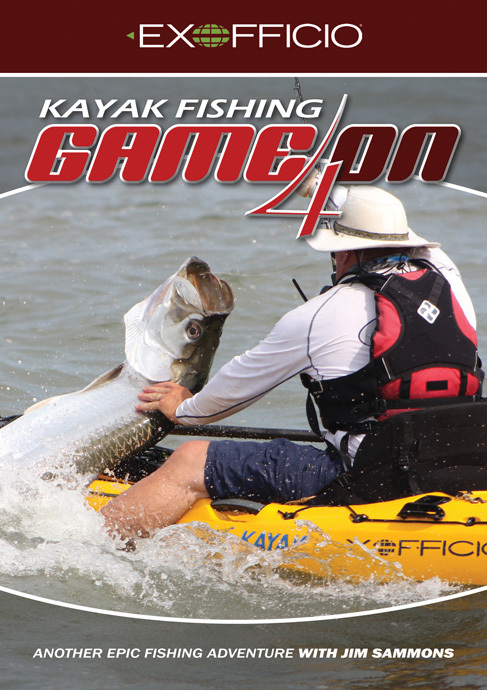 Kayak Fishing Game On 4 is now available for purchase. In what can only be called an EPIC year of shooting the Game On crew landed more big fish than we could have ever dreamed. Highlights from the year include Marlin in the East Cape of Baja, more Tarpon than we could count at Silver King Lodge in Costa Rica, Black Marlin and Tuna with Pesca Panama, Giant Sturgeon on the Fraser river with River Sportfishing. and a remote Alaskan Adventure with Ketchikan Kayak Fishing. All these great adventures are now available for your viewing pleasure on the DVD Kayak Fishing Game On 4 which are ready for shipping. Want a sneak peak, view the exciting trailer now.